The Ring of Honor/New Japan Pro-Wrestling G1 Supercard at Madison Sqaure Garden this past Saturday night was historic for professional wrestling in a variety of ways. The G1 Supercard was the first non- WWE show in almost 60 years to be held at “World’s Most Famous Arena,” as well as having both World Championships change hands in the double main event. The G1 Supercard was an absolute success and hopefully a return to Madison Square Garden is in the cards. Ring of Honor and New Japan provided the fans with an amazing night professional wrestling, an absolute celebration of wrestling, the way it was meant to be celebrated. 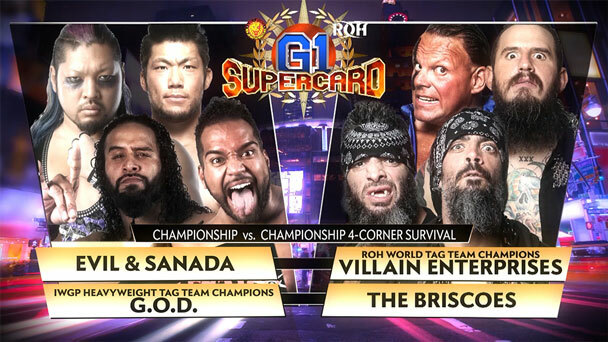 The G1 Supercard was the highlight of WrestleMania Weekend. Below are the Top Five matches according to High Spot Podcast. Two of New Japan’s finest delivered Match Of The Night Honors from us at High Spot Podcast. 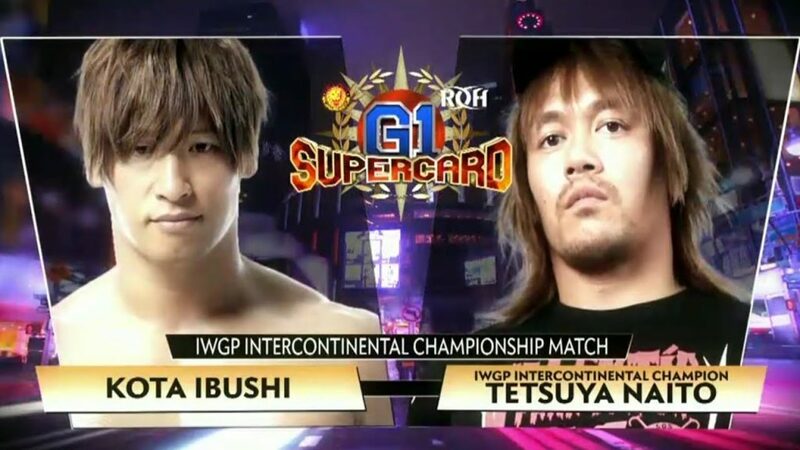 Both men pulled out all the stops and Kota Ibushi was able to land a Kamegoye (knee to the face) to the face of Naito for the three count and outlasted the leader of Los Ingobernables de Japon to become the new IWGP Intercontinetal Champion. In the night’s main event The Rainmaker ended the reign of the leader of The Bullet Club, Jay White, to become the new IWGP Heavyweight Champion for a record breaking 5th time. Back-and-forth match with both men trying to end the contest late with their finishers. After several reversals from The Slingblade, Okada was finally able to land the Rainmaker, followed by a spinning Tombstone piledriver, sealing the deal with one final and devastating RAINMAKER!!!! for the win in front of the Madison Square Garden faithful. The 5x IWGP Champion thanked the MSG crowd for all their support and hoped to return in the near future. Madison Square Garden would become “Madison Square Taven” as Matt Taven climbed the ladder and grasped the ROH Title to become the new Champion and face of Ring of Honor. All three men would finally make their way back in the ring, greeted by an almost ten- foot purple ladder. The Villain fell onto a separate ladder after Taven swept his legs from underneath him, leaving Scurll on the outside and a non- factor in the finish of the match. The leader of The Kingdom made his way up the ladder and was greeted by Lethal at the very top. Both men battled back and forth, with each trying to get their hands on the Title until Matt slammed it into Lethal’s face causing him to fall off onto another ladder allowing Taven a clear path to become the new ROH world champion. 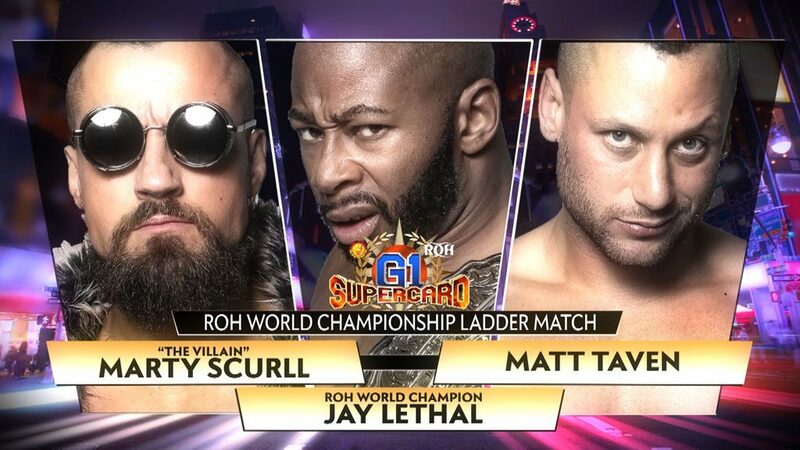 During the Festival of Honor Media Session, Ring of Honor Star Jay Lethal was asked by High Spot Podcast if he’d take the time out to reflect on the events of the history making G1 Supercard of Honor. The Ring of Honor World Television Champion Jeff Cobb continued to collect Titles by defeating Will Ospreay and becoming the new Never Open Weight Champion. Cobb would catch Ospreay on the top rope and hit a pair of Tour of the Islands to get the win in an outstanding match to kick-off the G1 Supercard of Honor. Jeff Cobb has now become “Belt Collector” of Ring of Honor. This 4-Corner Survival Match for both the ROH and IWGP tag titles on the line quickly got out of control in a hurry and turned into a wild brawl between these eight men. In the sickest moment of the night, PCO got powerbombed by the G.O.D from the ring straight to the floor and then sat up smiling. There is no one quite like PCO! Gedo cracked King in the back with a cane behind the ref’s back and then Tama Tonga hit a Gun Stun. He and Tanga Loa then hit a powerbomb off the top rope to capture the ROH Tag Team Titles, in what can only be considered a wild brawl that ended in absolute chaos. Towards the end of the match Enzo & Cass interrupted and proceeded to jump The Briscoes. ROH security and Bully Ray came out to clear things up, eventually having the former WWE duo escorted out of Madison Square Garden, it was too little and too late… Enzo & Cass absolutely ruined this match!